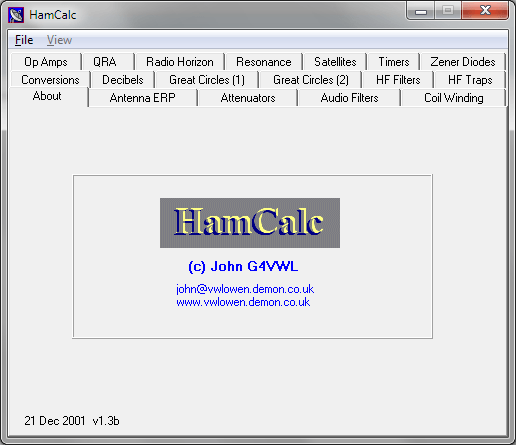 HamCalc is a collection of calculators, for radio amateurs, presented as a series of ‘Tabbed’ pages. QRA Locator to Latitude/Longitude (and back). Hola quiero probar el software para el calculo de bobinas. Small tutorial, how to make PCBs at home, using photoresist methode.